I knew UBC was beautiful. That’s all my friends would say before I got here. It was always their first reaction. 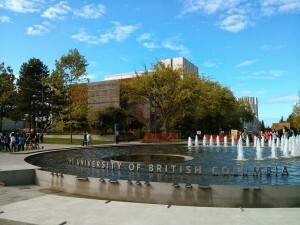 Their second: UBC is so far! Yes, it’s a five hour plane ride but now that I’m here, the move has already made itself worth it. There’s a difference between a nice campus and a beautiful campus. Everyone has their bias that their campus is the best but unless you go here, no you don’t know the best. I went searching for something that said UBC to instagram it and actually let my friends know that I made it and I found a water feature. Not just any water feature, but this classy fountain. Don’t even try and compare your weather to Van’s. Moving on a little farther past the centre of Main Mall, you end up seeing historic buildings that you can probably find pictures of on Google. The chemistry building, the Irving library, and the other ones that I don’t particularly remember off the top of my head. 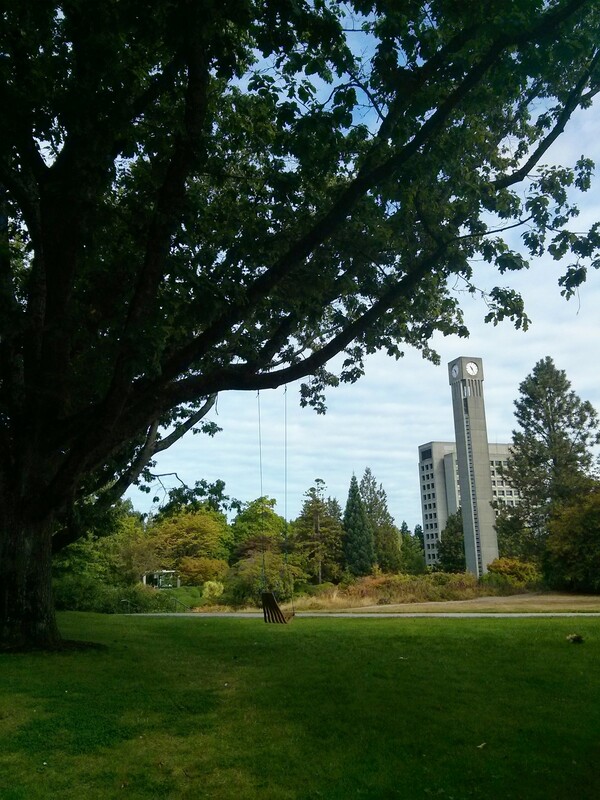 You can find those on any search engine, but I bet that you can’t find the swings around UBC campus. Not on the internet, not on Google, not even in another campus sorry. Does this really need more explanation? There’s a stand-out spot in every university. 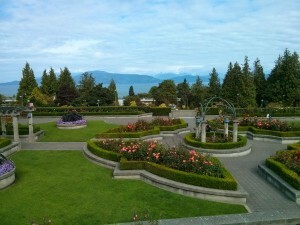 UBC has the Rose Garden. It is lovely, well-maintained, and honestly, the best view on campus. First impressions are the ones that last right? I sure hope this one does because I’m falling in love with it already.